We stopped several times in Mount Robson Provincial Park. 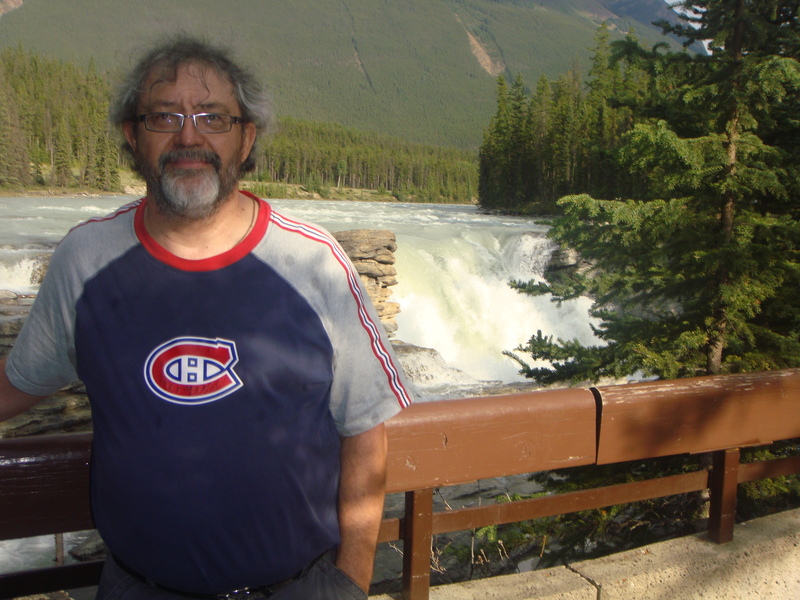 I find an advantage in most Canadian provincial parks is the accessibility of many of the featured places. Our first stop was at the visitor centre at the base of Mount Robson. We walked a few hundred metres up the Berg Lake Trail. 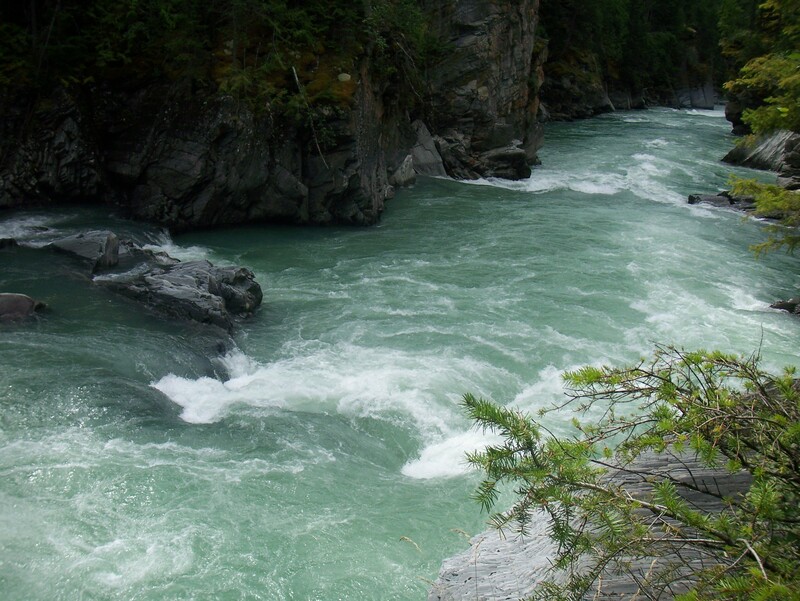 The headwaters of the Robson River are located at the base of the mountain and begin with Robson Glacier. 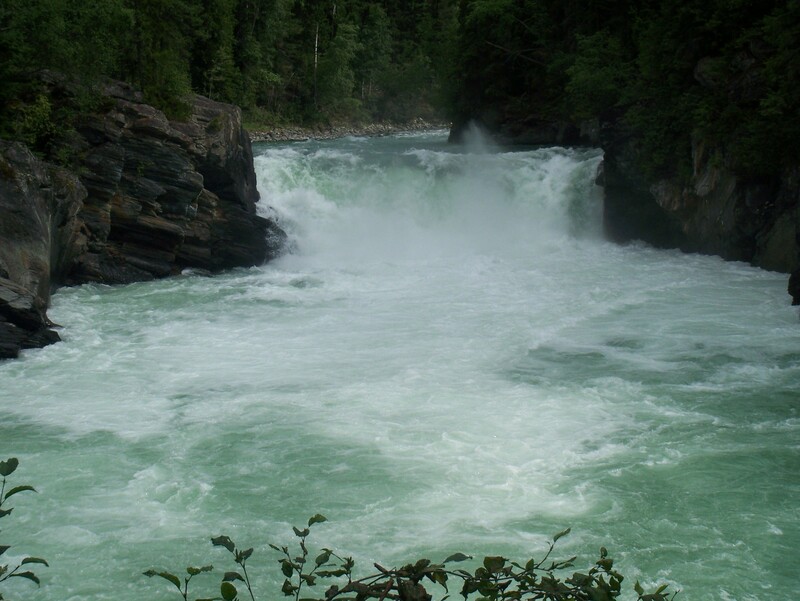 The river runs fast and has many areas where rapids and small waterfalls flow. 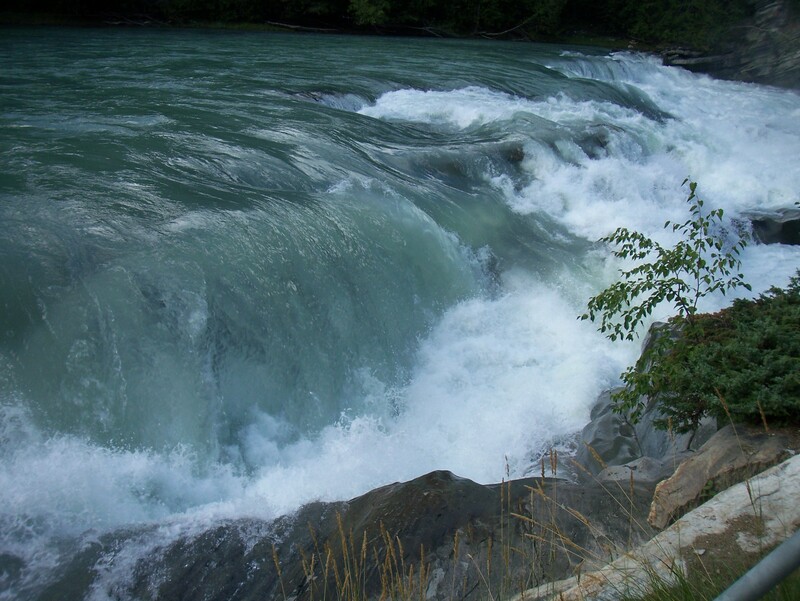 The colour of the water is a product of the rock particles the glacier scrapes from the bedrock it passes over. 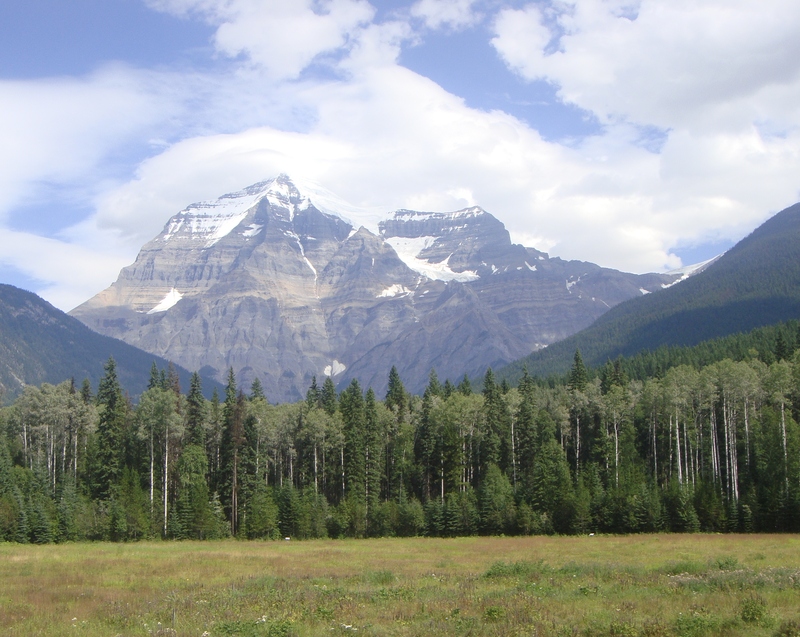 Mount Robson towers above the valley and dominates the skyline. It is not always fully visible, but is still the most imposing feature of this area. 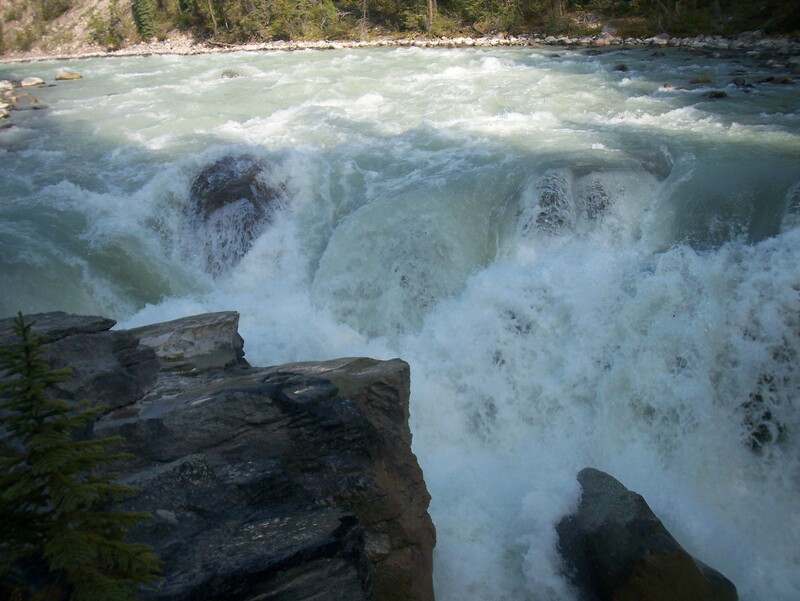 We stopped again at Overlander Falls which is on the Fraser River below its confluence with the Robson. These falls are less spectacular than others we have seen, but even I was able to get down to the viewing area. They are about 10 metres tall and 30 metres wide. A person realizes the slope of the river when they look at a picture of it below the falls. 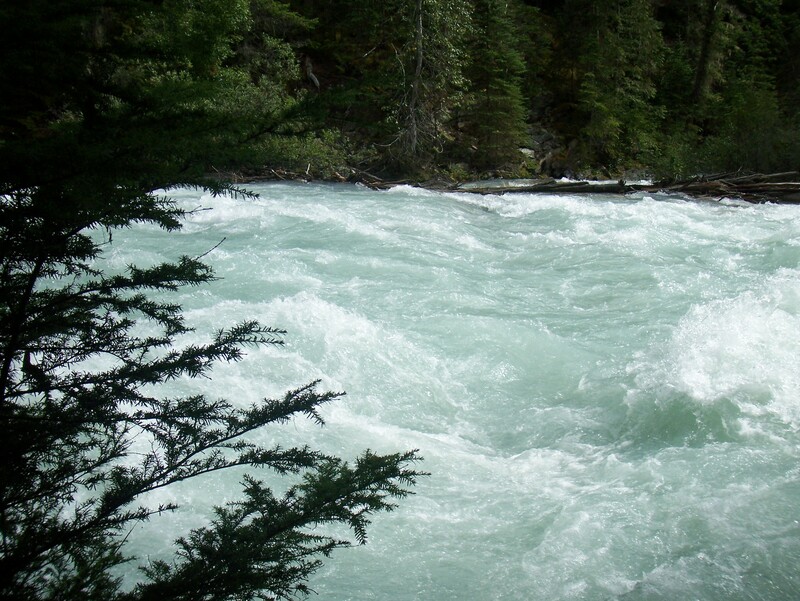 We captured the blue-green colour of the Fraser closer to its headwaters in these two pictures. Our next stop was at Mount Terry Fox. Terry Fox is a Canadian hero who began the Marathon of Hope in St. John’s Newfoundland on April 12, 1980 by dipping his artificial leg in the Atlantic Ocean. He lost the leg to his first battle with cancer and had to stop the marathon on September 14, 1980 near Thunder Bay due to a relapse. He passed away at the age of 23, but left an important legacy for Canadians. Our last stop was at Rearguard Falls which are at the top of the hill before Tete Jaune Junction. These falls are quite wide and hard to get good shot from above them. We took this picture at the bottom of the trail and stairs. It was still hard to do justice to the width of the falls. I was down at the falls level. 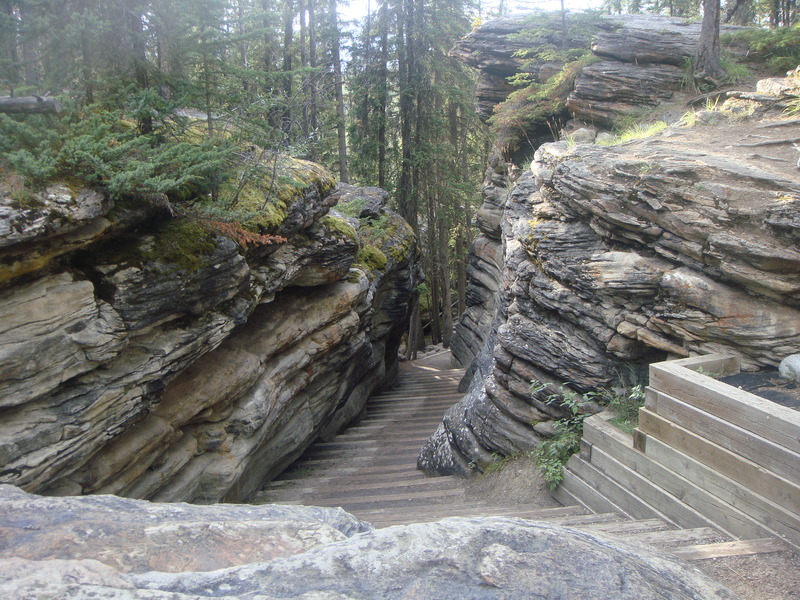 The provincial parks people built a great set of stairs for the final foray to the bottom for me. I was not getting any closer, but this captured a bit more of the width of the river at this point. Posted in Nature in All Its Glory, Photography and tagged berg lake trail, Mount Robson, mount robson provincial park, nature, photography, robson provincial park, robson river, Rocky Mountains, teacher as transformer. Bookmark the permalink. It has been awhile since I reblogged a post, but I could not resist this one. David poses a tongue-in-cheek view of an emerging digital world. What are the implications? What are the unique qualities of community in the virtual world and which qualities do they share with traditional communities? I am looking at this as a topic area for my dissertation so this is humourous and thought-provoking. 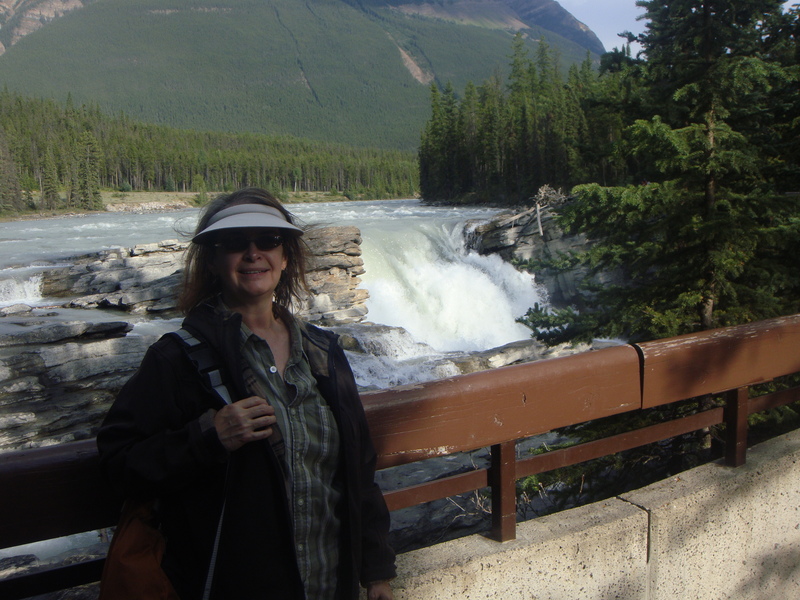 I posted before about Athabasca Falls, but Kathy and I were there this summer and I thought I would share new pictures. This is a view looking up river. The river is fairly wide and narrows rapidly at the gorge. 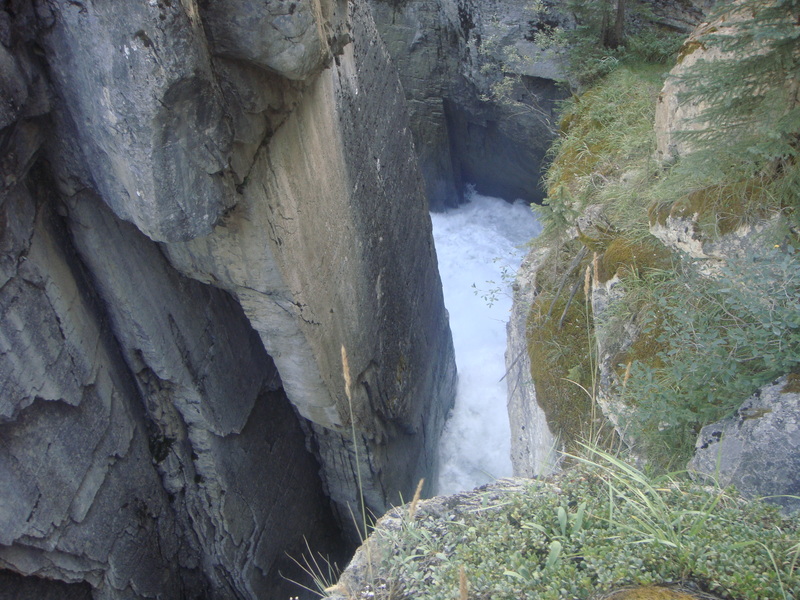 This is a view of the falls plunging into the gorge. According to the signs, the falls create, and recreate their path through the gorge constantly. Kathy took this from the foot bridge which spans the gorge. I walked across which is a first for me. There are hiking trails on that side of the river that work their way further up-stream. 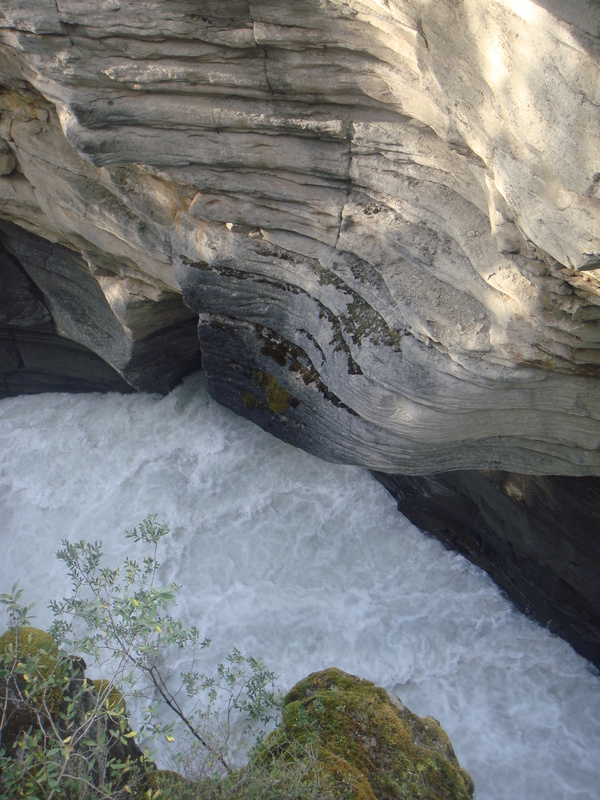 Kathy took this picture from the bridge to show the rings the water grooved into the wall of the canyon. It is like an old washing machine down there. We got much closer to the falls on this side of the bridge. I got a much stronger sense of the power of the falls through the sound and the way it shakes the ground on that side. I walked down these steps which are an old channel for the river and the falls. The water carved a new path and abandoned this one. Posted in Nature in All Its Glory, Photography, Uncategorized and tagged athabasca falls, athabasca river, Jasper National Park, nature, photography, Rocky Mountains, teacher as transformer. Bookmark the permalink. 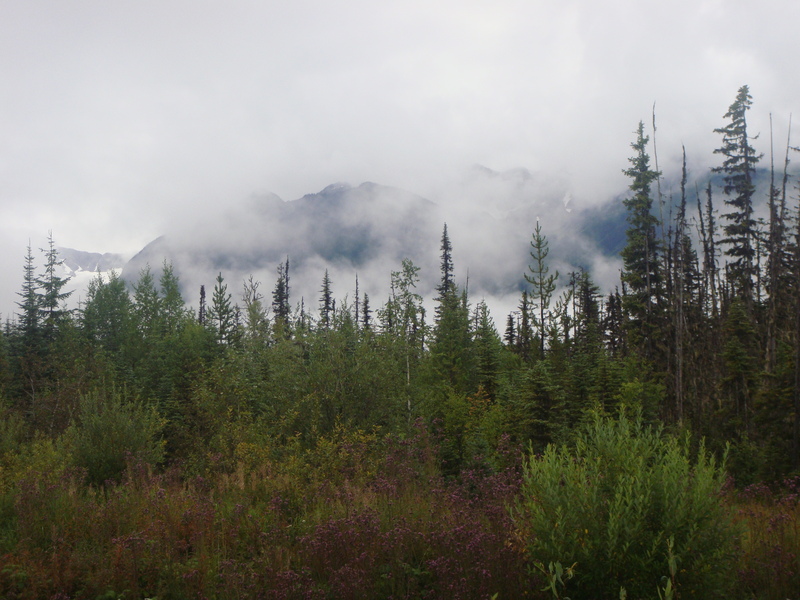 It was a dreary day when we started home from Prince George, British Columbia but, when traveling in the mountains, that is a dynamic that adds to the view. 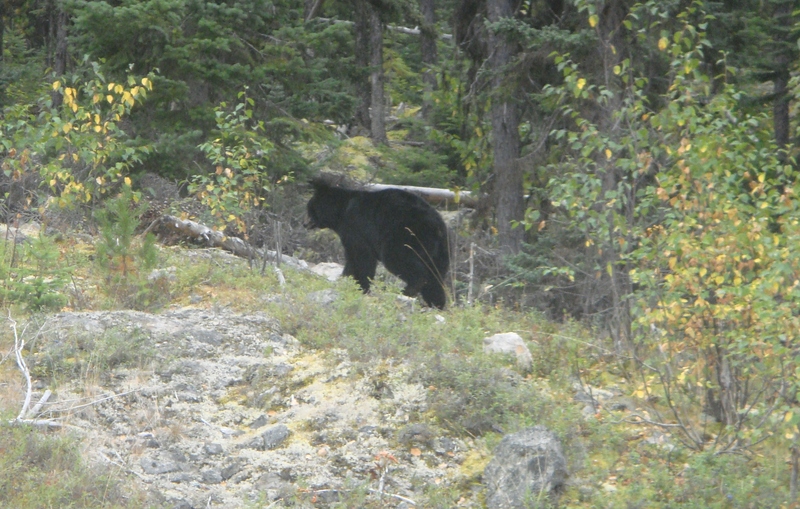 Barely on the road, we spotted a bear browsing on the shoulder above the highway about 10-15 metres from the car. We rolled the window down and he posed before disappearing from sight. a soft brush at work. 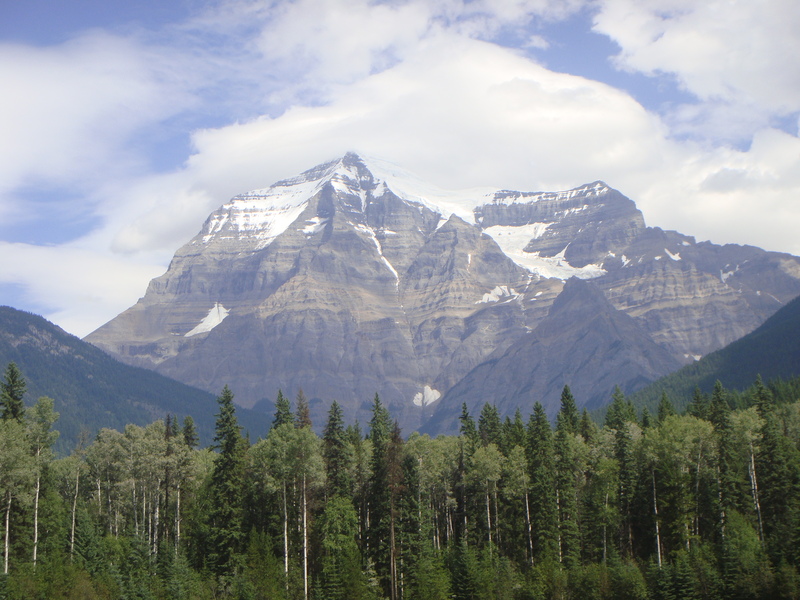 Mount Robson revealed herself within a cloud-like frame pointing her majesty into the blue sky above. 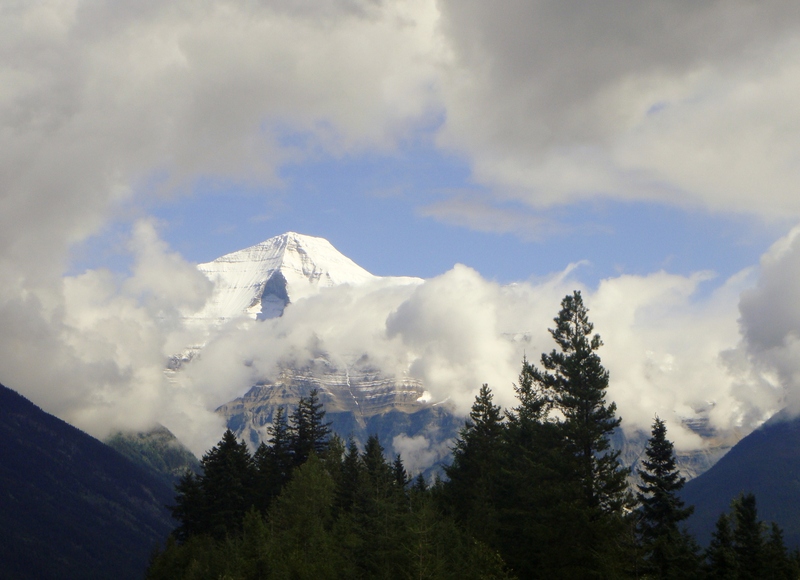 I enjoy taking pictures of Mount Robson when the clouds show something different. I took this picture of Mount Robson a few days earlier. 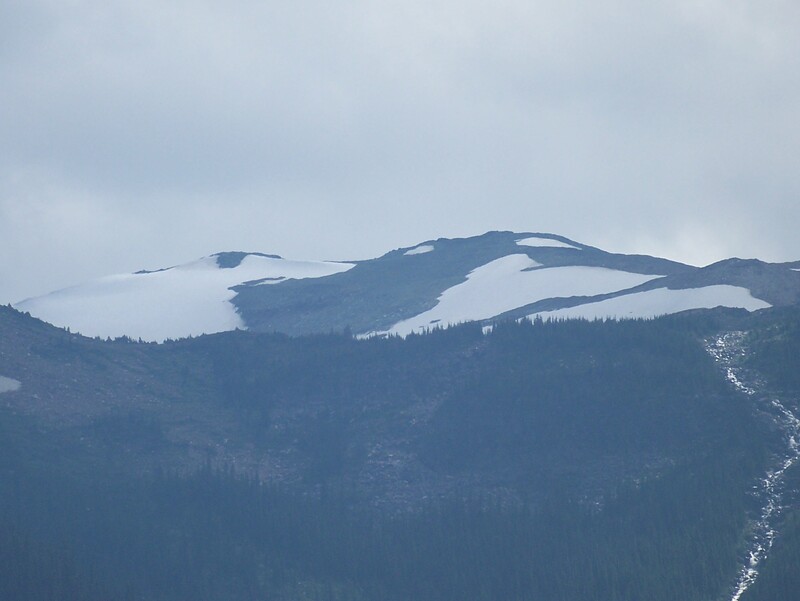 The white on the mountain is glacier or snow. Kathy and I hiked a few hundred metres along the Berg Lake trail. We had not done this before, but it is a hike we will attempt next summer. 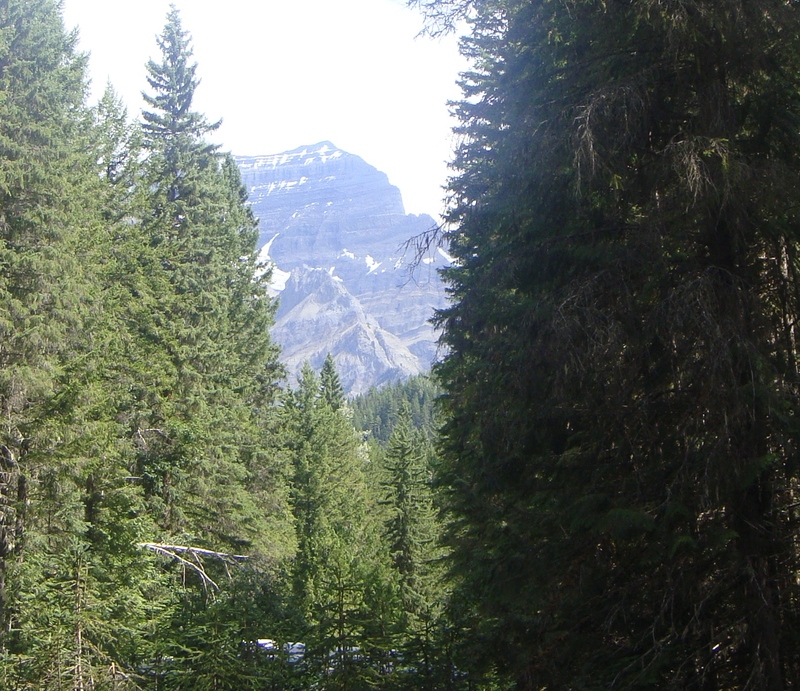 I settled for this shot of Mount Robson which disappears from sight as you move along the path. 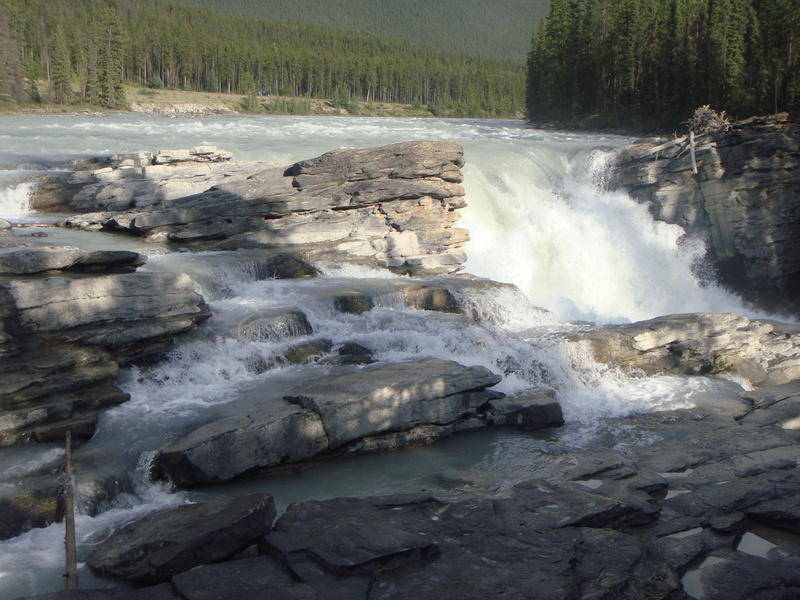 In the foreground, is the Robson River which has its headwaters on Mount Robson and flows into the Fraser River a few kilometres further down the highway. 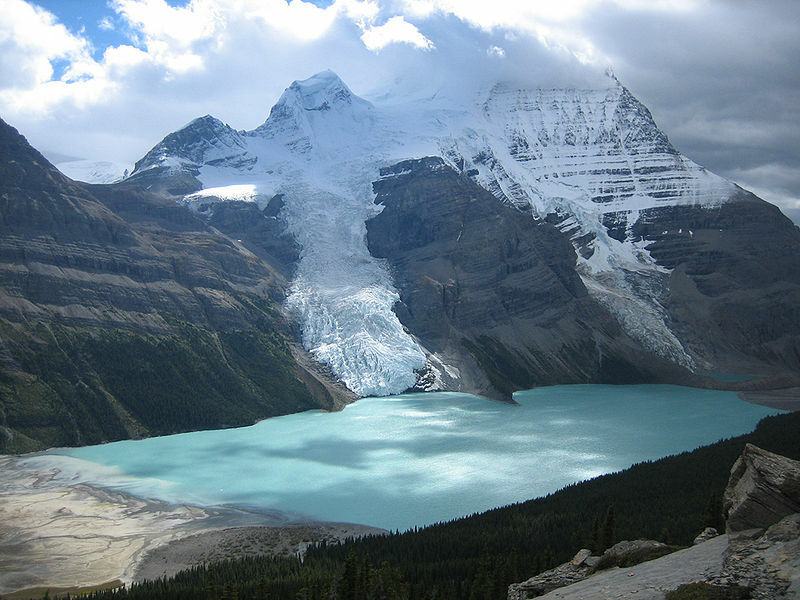 I borrowed this picture from Wikipedia, but a goal for next summer is to hike into Berg Lake, camp, and bring back pictures. 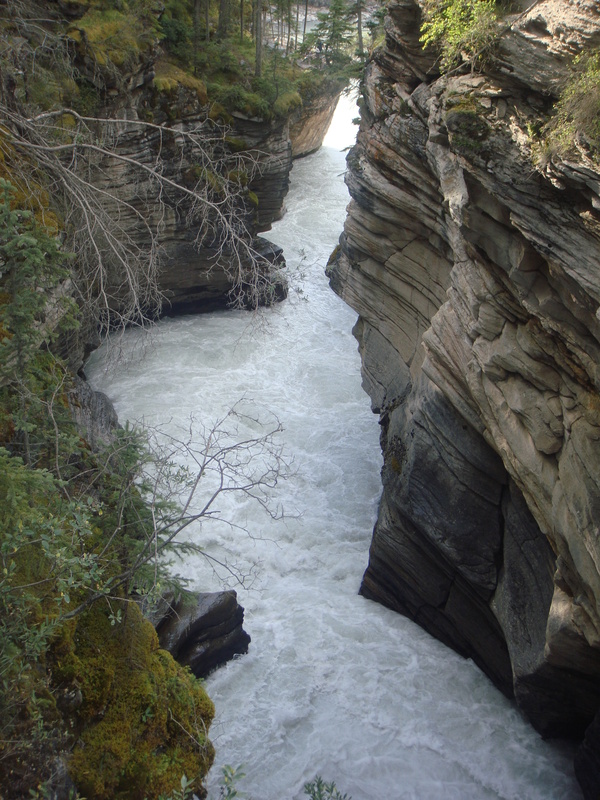 Posted in Haiku, Nature in All Its Glory, Photography, Poetry, Reflective Moments and tagged berg lake trail, haiku, Jasper National Park, Mount Robson, nature, photography, poetry, robson river, Rocky Mountains. Bookmark the permalink. I received an award while we were on the road and took time to consider this one, as there were few rules, but it arrived at an opportune time. The blog recently surpassed 350 followers and has 1400+ likes which is remarkable as most growth occurred over the past 2 months while I rehabbed a weary body and spirit. I rediscovered some creativity and things that feed the spirit through the process. 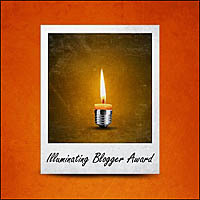 That is attributable to those who follow the blog, like it, and comment on it. I received the award from Carolyn at ABC of Spirit Talk. Carolyn has a diverse and award-winning blog with poetry, photographs, her love of nature, and reflects on many aspects of life. I enjoy her posts and look forward to the her surprises each day. Carolyn indicated there was only one rule and that was to thank the person who nominated me. Posted in Awards, Blogging, Community and tagged awards, blogging, community, conversational journey, creativity, photography, poetry, prose and poetry, writing. Bookmark the permalink. I got closer to these waterfalls then I normally do and they are impressive. 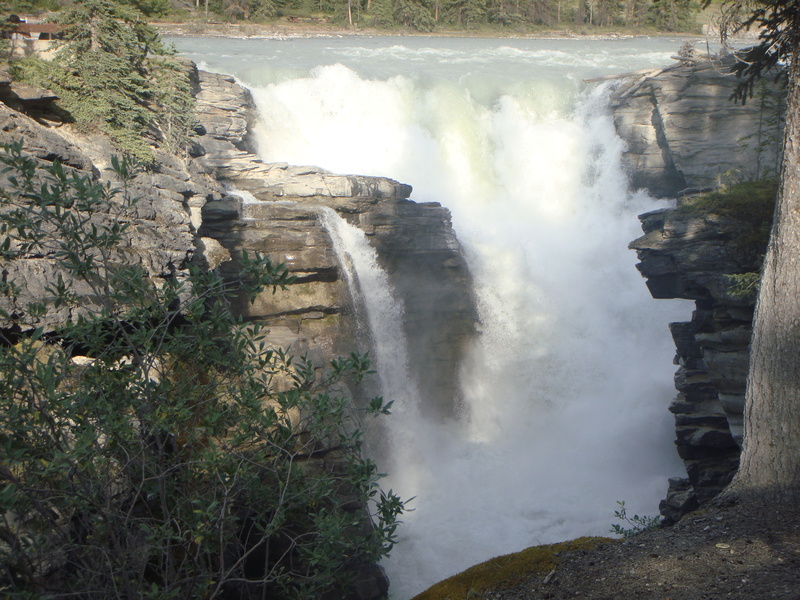 I had not visited Sunwapta Falls before, but they offer an incredible view, sound, and event. 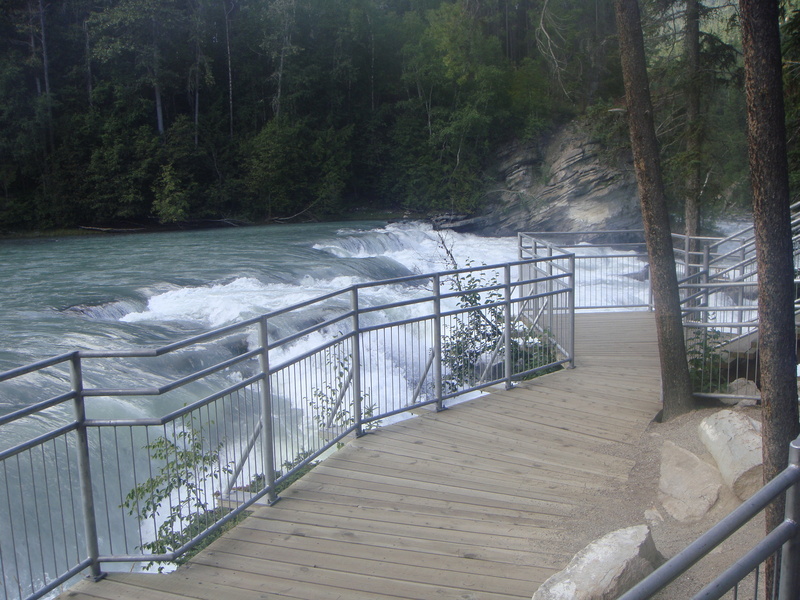 This is a view at the top of the falls looking back upstream. 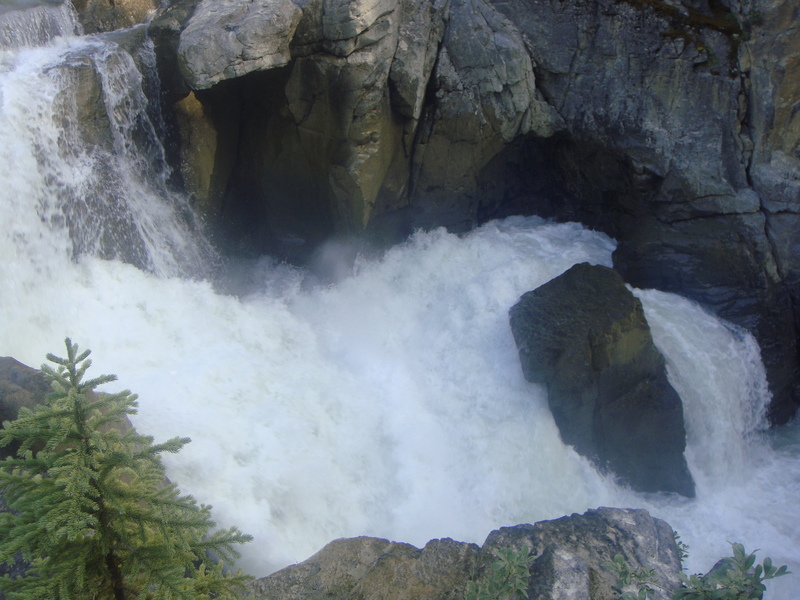 This is the first chute of water over the top of the falls as it shoots through the narrowing of the channel and over the lip of the valley. 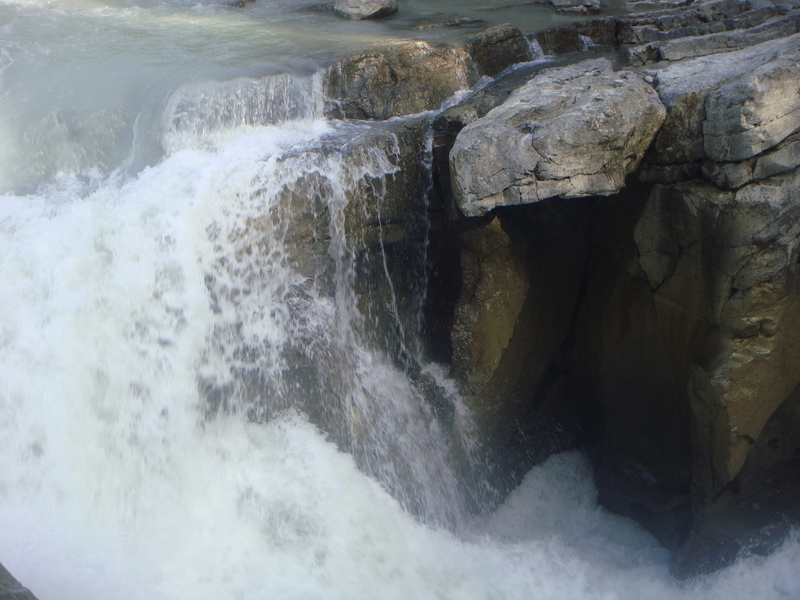 A second view of the top of the falls with a tighter shot on the small cave across the gorge. And then a last view of the river as it flows down the canyon, crashes into the end wall, takes a sharp left, and disappears from view. 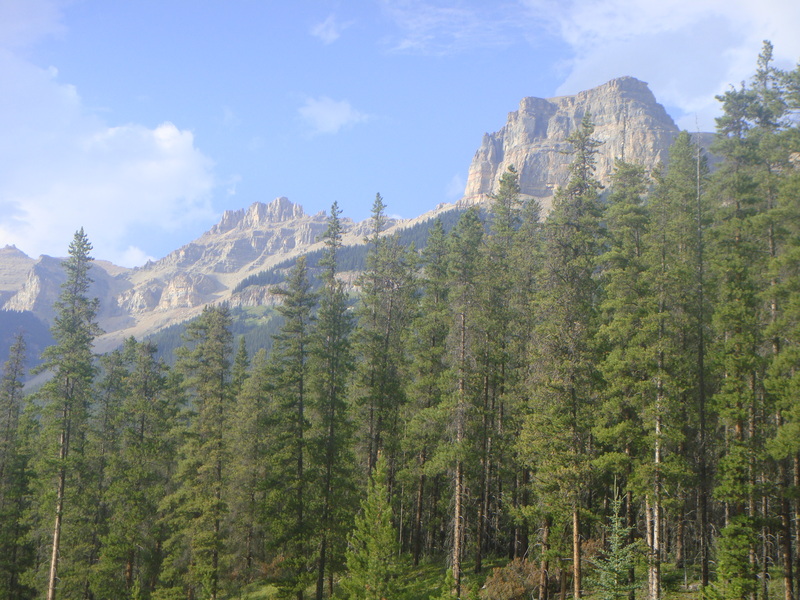 Mount Kerkeslin stands guard over the Icefields Parkway between Sunwapta Falls and Athabasca Falls. Have a great Monday August 27. 2012. 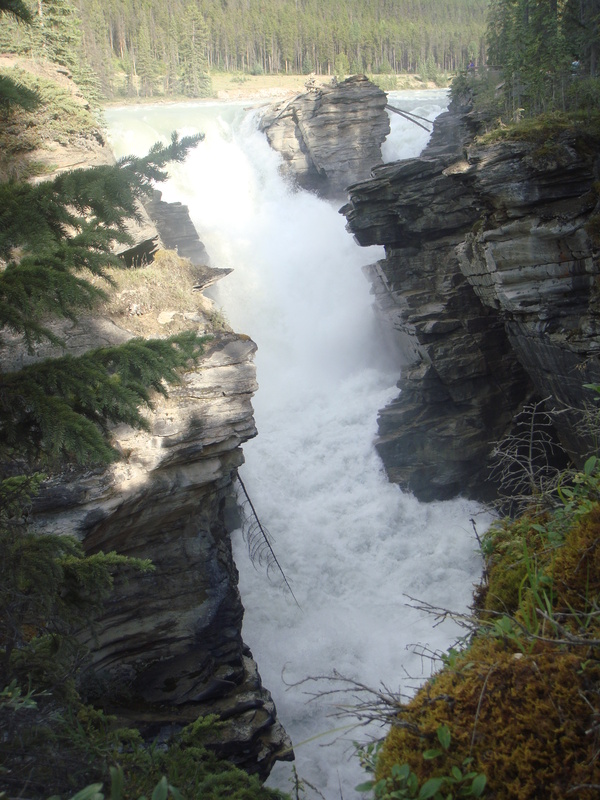 Posted in Nature in All Its Glory, Photography, Uncategorized and tagged Jasper National Park, nature, photography, Rocky Mountains, Sunwapta Falls, teacher as transformer. Bookmark the permalink.